– Set oven to 350° F and grease muffin tin using coconut oil and a paper towel. – In a large mixing bowl, whisk together all dry ingredients (flours, sugar, baking soda, baking powder, cinnamon and sea salt). – In a separate bowl, whisk together wet ingredients (olive oil, walnut oil, maple syrup, vanilla, and eggs). – Add wet ingredients to dry ingredients and stir using a spatula in order to scrape the edges of your bowl until just combined. DO NOT over-mix or your muffins will turn out tough. 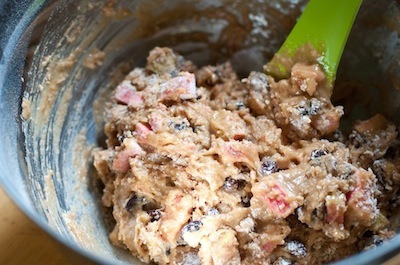 Tiny hints of flour, as seen above, is ok.
– Add your chopped apples, and raisins and stir until evenly incorporated. Again, avoid over-mixing. – Spoon the batter into the prepared muffin tin until each cup is nearly full. An ice-cream scoop works fantastically for this task. – Place tin in oven and bake for 20-25 minutes, rotating the tin at about 12 minutes. To check that the muffins have finished baking, insert a toothpick into the center of one and check to see if it comes out clean. – Remove the tin from oven, take muffins out of the tin and set on a wire rack to cool. If allowed to cool in the tin, the muffins will continue to bake and may be over done. 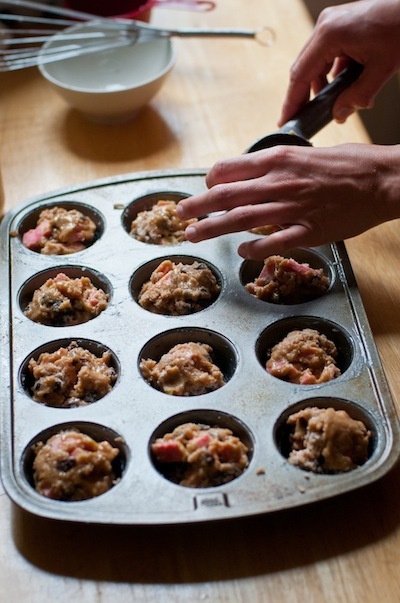 – Enjoy your muffins immediately once they have cooled or store them in an airtight container for up to four days. 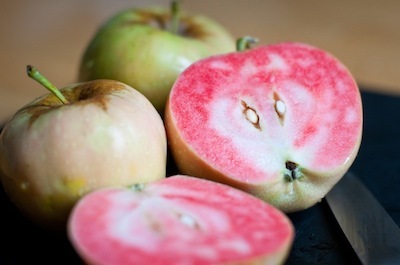 If you wish to save them for longer, they can be frozen and enjoyed for up to three months. 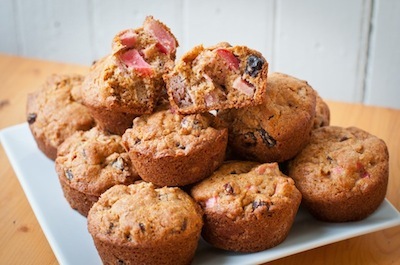 Made these muffins last week – soooooo good! The muffins came out super moist and stayed that way in the fridge. Great for breakfast or dessert. Thanks for the awesome recipe! Thanks so much for the feedback Dena!!! 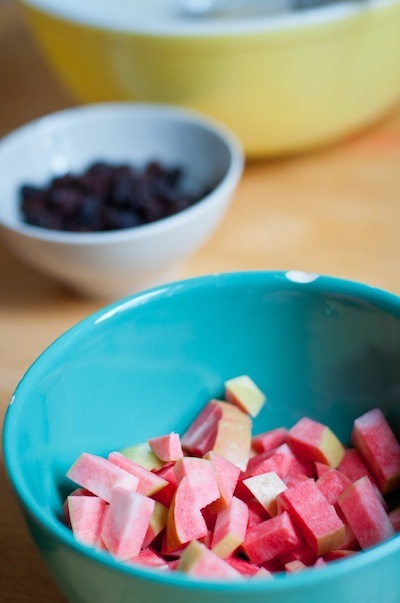 Great substitution ideas!